Joanne Barilla, is no stranger to Warrior events. In fact, over the past three years, she has organized four major fundraising events. Her first event was a series of exercise activities. She scheduled about one exercise event per month and invited friends and family to come out to support her cause. The varied activities included a walk, yoga, body conditioning, Zumba, and even belly dancing. Then last year, Joanne decided to take the OM cause to a larger scale. With the help of friends and activists, she held a cocktail party in a beautiful home near the National Cathedral. The invitation went beyond her circle of friends and family to include neighbors, work affiliates, and local business owners. For the first time since her treatment and diagnosis, she shared her cancer story publicly and asked for donations for OMF research efforts. The event was incredibly successful, bringing in over $15,000. Her efforts continued in two events this spring. First, she participated in spin for a cause, and second, she partnered with Washington DC-based store, Core 72, to hold a shopping event. 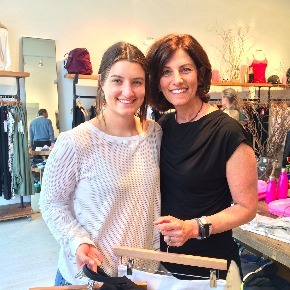 Core 72, a boutique for women's athletic wear, graciously pledged a percentage of the day's purchases to be donated to OMF. Joanne again reached out to her community and invited them to support her cause. The shop on Wisconsin Ave. buzzed with energy and laughter as women shopped. Every woman loves an excuse to shop, so this event proved fun and successful! "Just go for it! It's empowering!" ​When asked about her advice for other potential Warriors, Joanne said, “Just go for it! It’s empowering. It makes you feel good." When she began planning her first event, she admits feeling a little daunted since she'd only previously helped organize school events. But she decided to simply go for it! Another reason for becoming an OMF Warrior had to do with the people around her. Joanne explained, "At first, I felt lonely, confused, and sad about my diagnosis. But I realized I needed people to support me. The Warrior events are a way for me to reach out to the people around me and join together.” When people asked Joanne how they could help, she now has an answer. 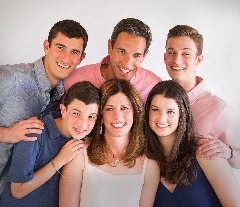 Joanne inspires with courage, dedication, and her continued efforts to spread awareness and raise funds. Would you like to hold a Warrior event? 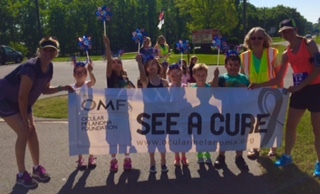 Contact holly@ocularmelanoma.org to get started today!